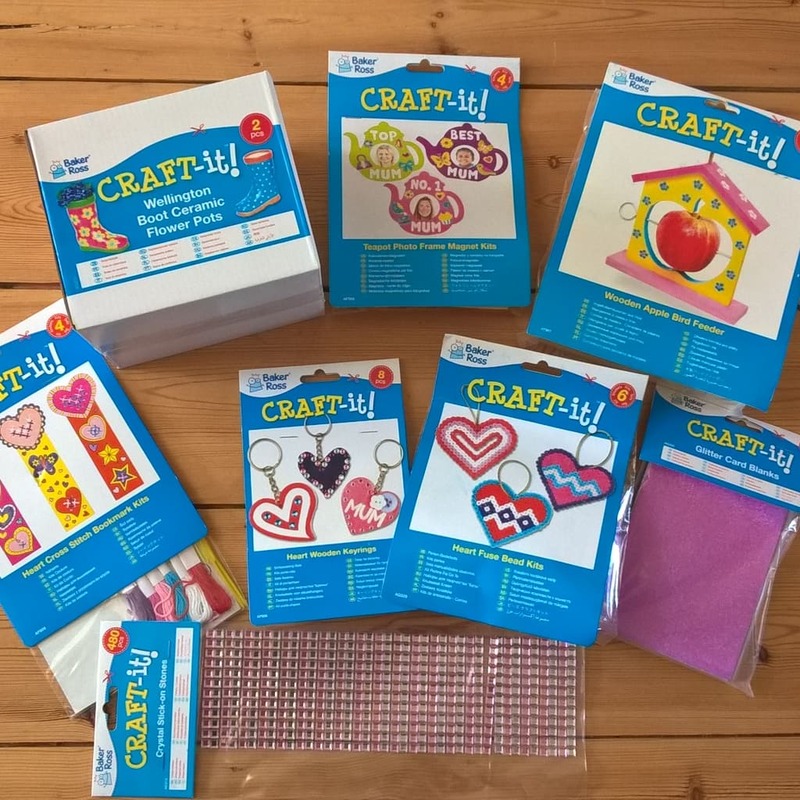 With Valentine’s Day around the corner, it’s a great time to get kids crafting, and there’s nothing better than a pile of Baker Ross goodies to get them going. 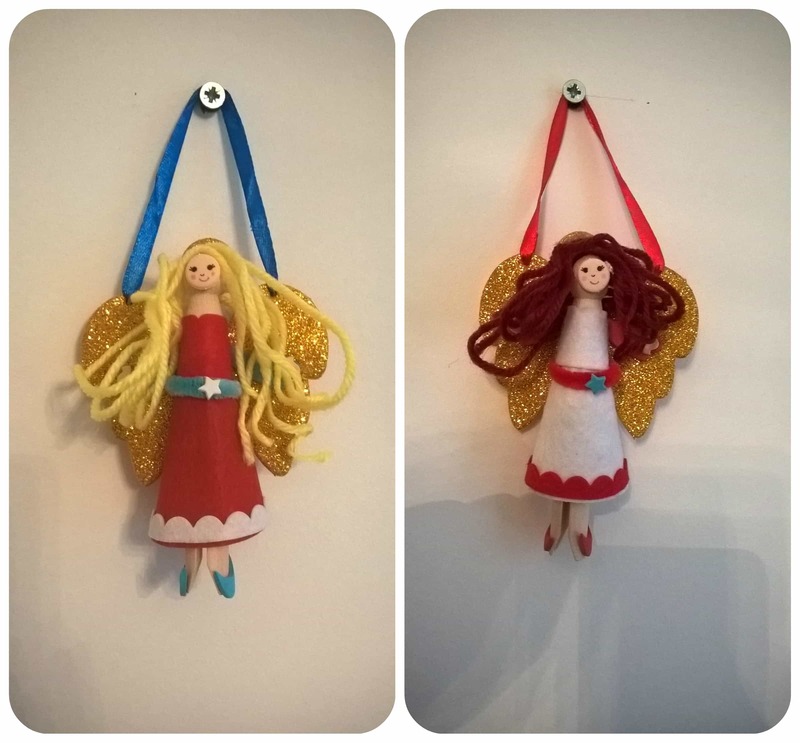 The kits are simple to use, and come with practically everything you need and importantly always give effective results that children are proud off. 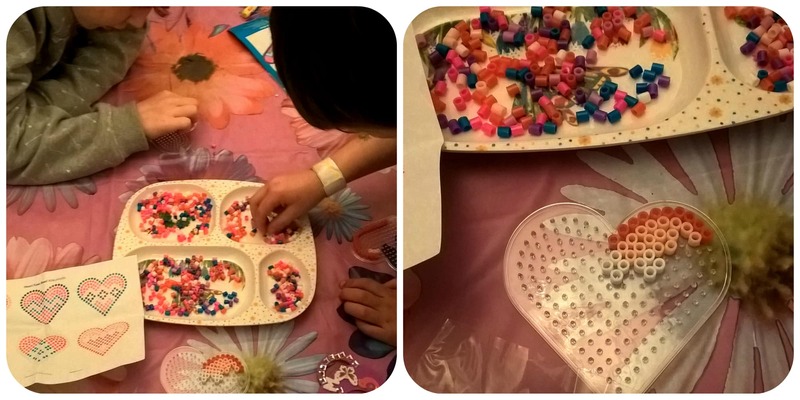 We started with some Heart Fuse Bead Kits, which came with heart templates and a variety of coloured beads. 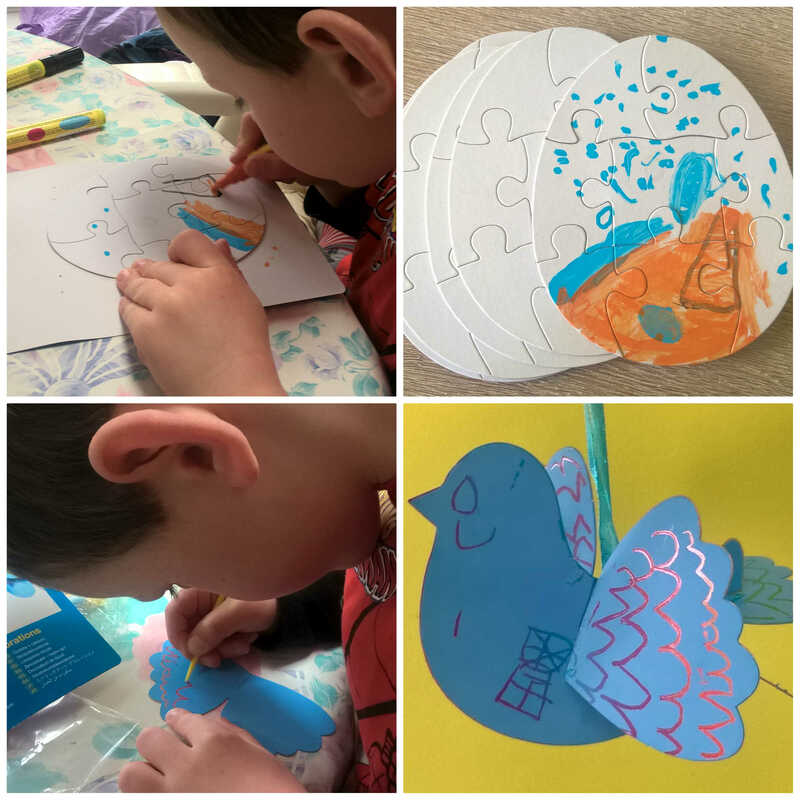 Both children sat down and eagerly created their patterns taking inspiration from the image sheet provided. They both got quite engrossed and were determined to finish. The prospect of me ironing their designs and them seeing the finished piece stuck together was exciting and they were thrilled with the finished results! 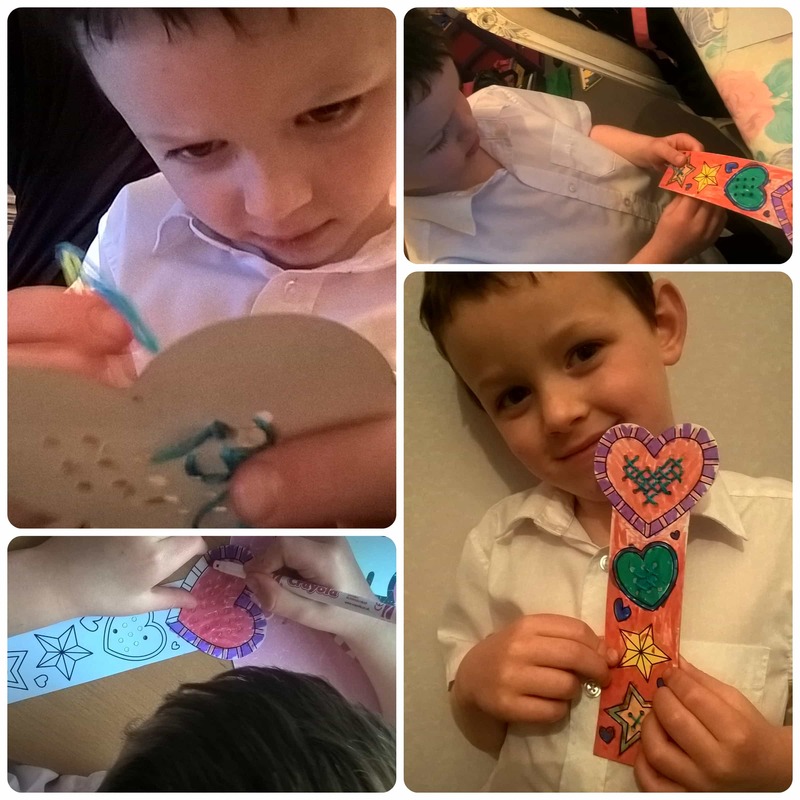 We then moved onto bookmarks which are a great size and perfect for children to use or give to an adult as a gift. 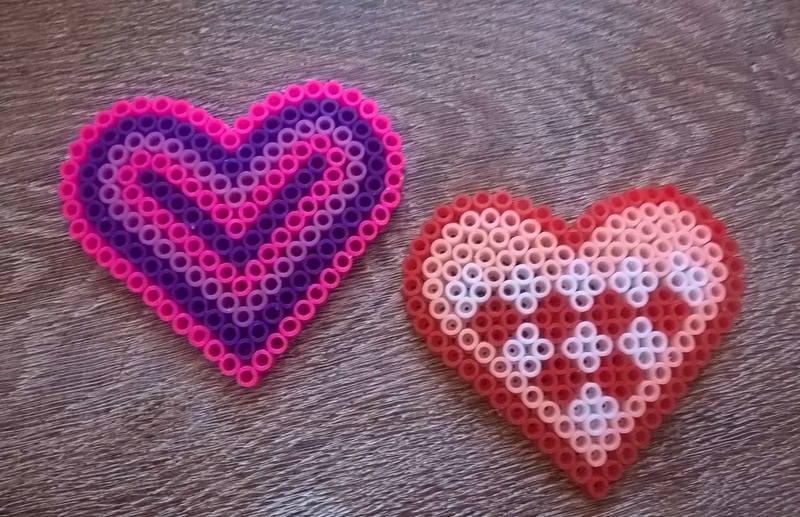 The bookmarks first need to be coloured in and then some cross stitch added to the top, using a child friendly plastic needle. You also get several colours of thread to choose from. 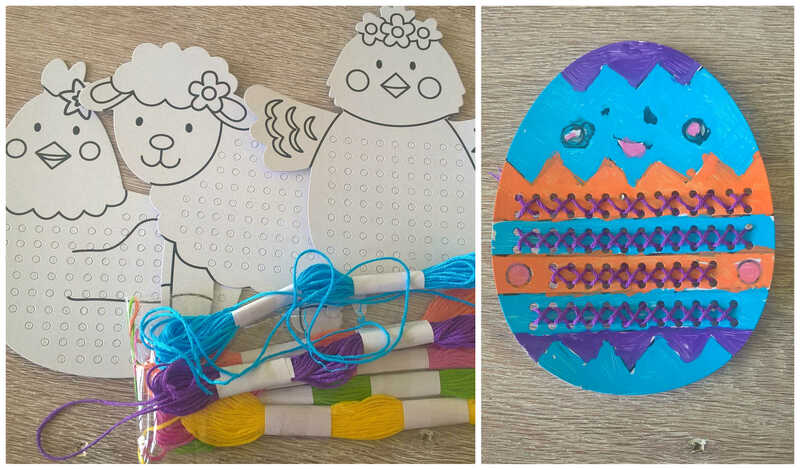 When my daughter started colouring one of these, my 5yr old boy really wanted to join in too, and it was his first ever go at sewing which he really loved and put his full concentration into – I just love his finished bookmark! 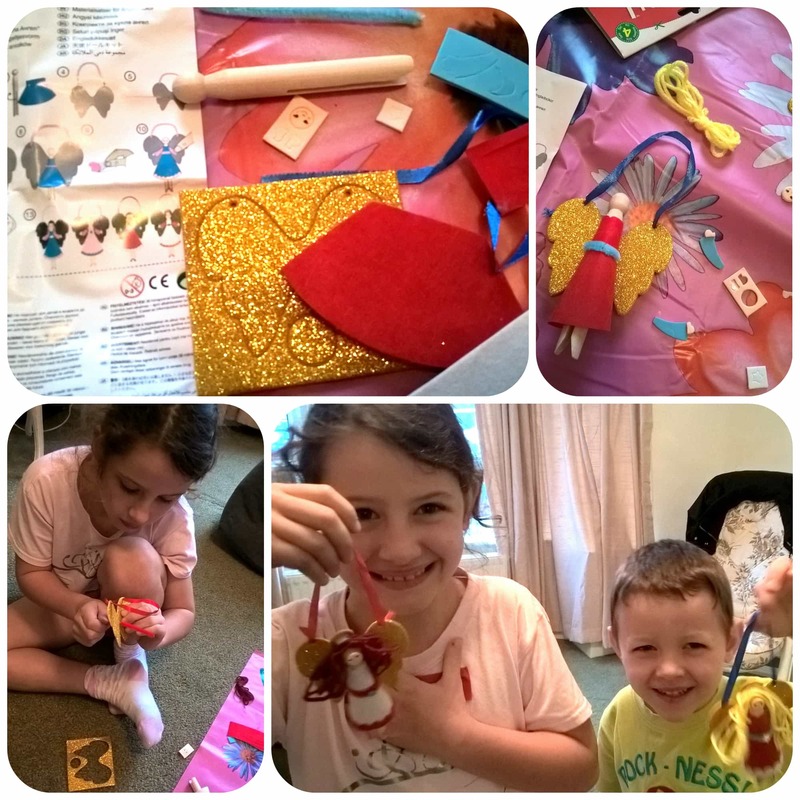 Halloween is a time of year my children love, dressing up, carving pumpkins and lots of spooky crafts. 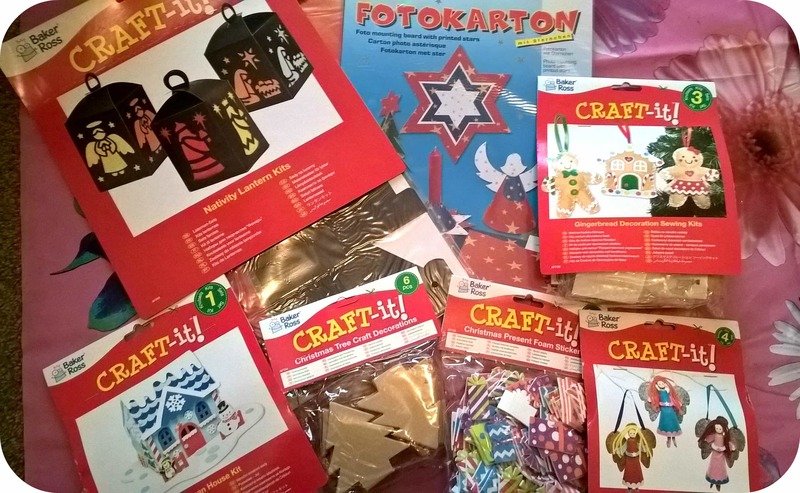 Baker Ross has a wonderful selection of children’s crafts that different and fun, in fact both my children thoroughly enjoyed this selection. 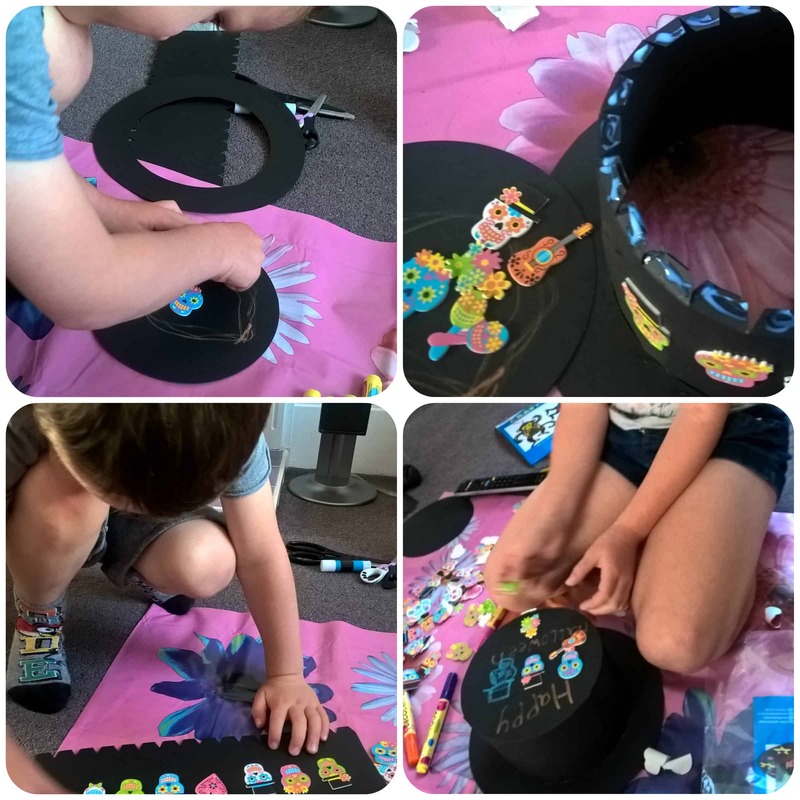 They were keen to decorate the top hats which I think is a really fun idea as it gives them something to wear at the end of it. 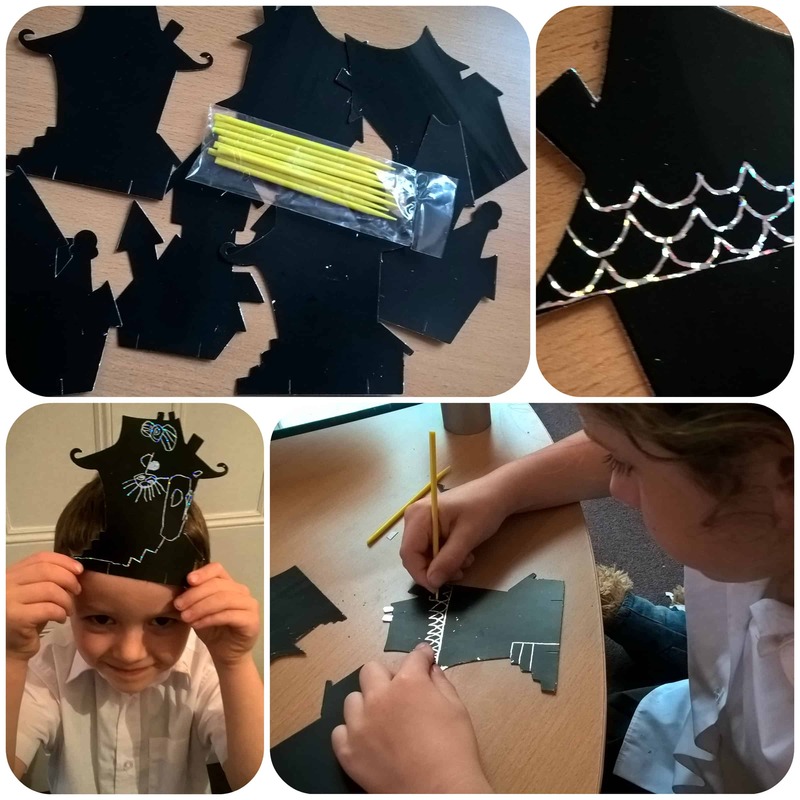 We also received some brightly coloured foam skull stickers to use and along with some coloured pens the children got to work. 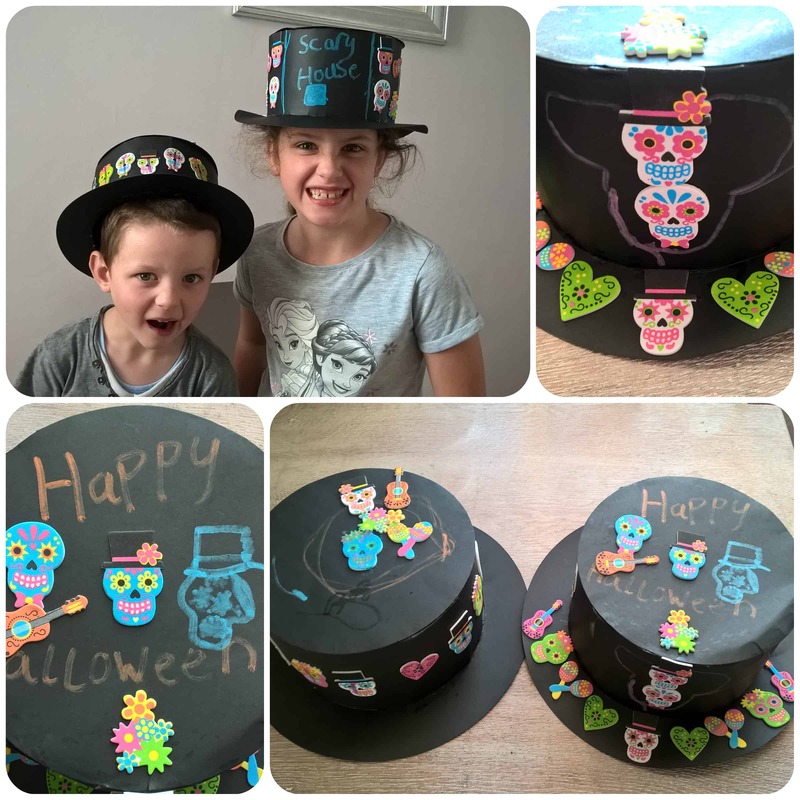 The hats came in three pieces which were easy to stick together with a bit of pva glue. Once finished they looked fun as well as scary due to the bright colours and my children proudly paraded them around the house and are keeping them ready to wear on Halloween! 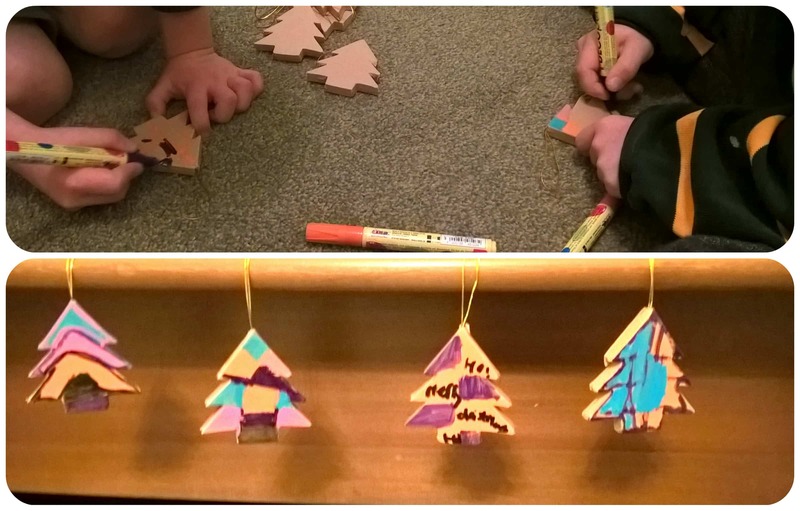 Next we had a go at the stained glass monkey decorations which were really effective. The monkeys come with pre punched shapes that the children enjoyed popping out. 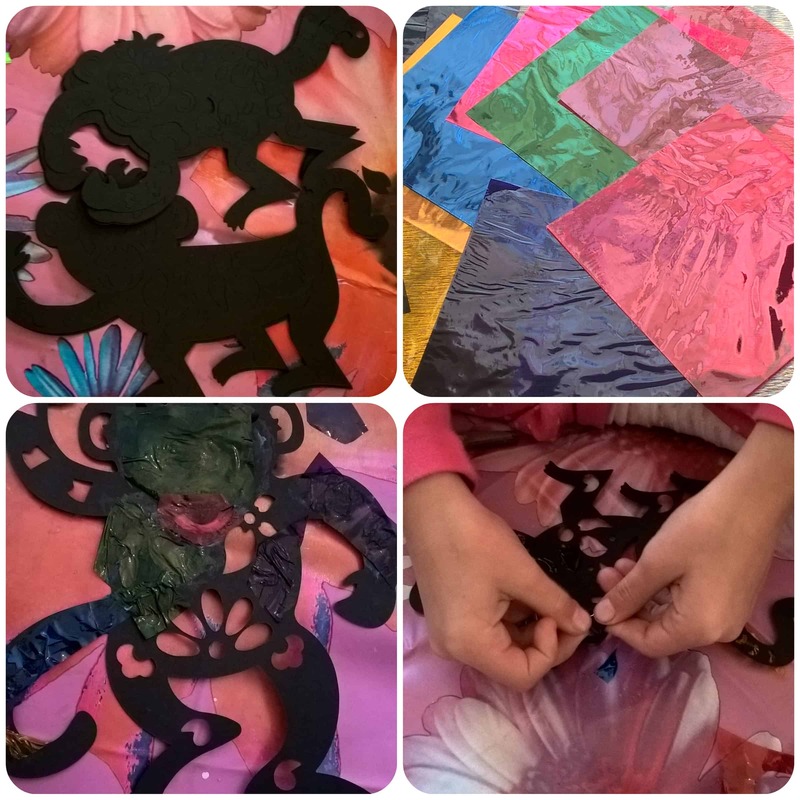 Then they cut pieces of coloured cellophane which they glued onto the back of the monkey. 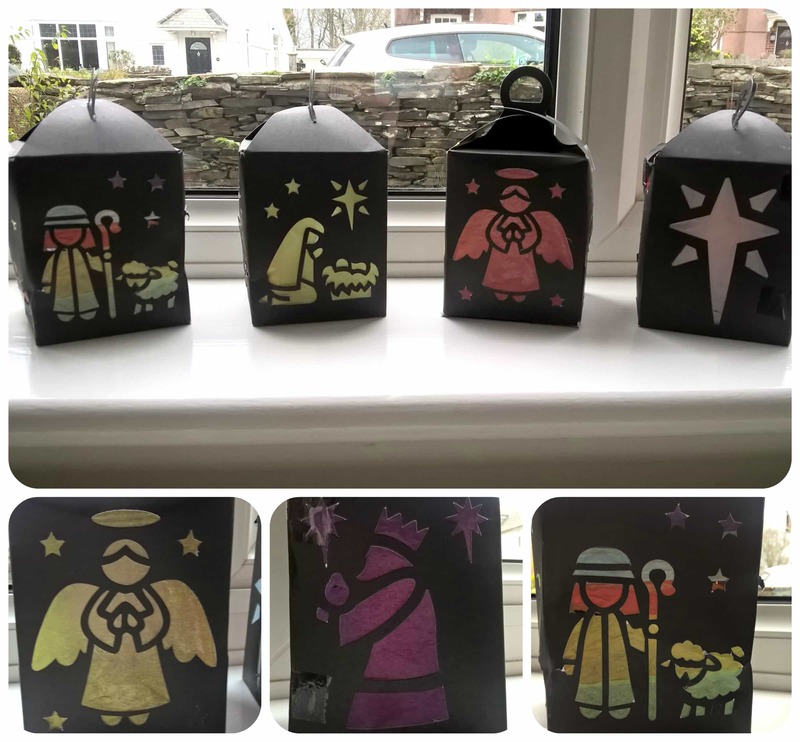 This was simpler to do than I initially thought as you didn’t have to be that neat or precise with the cutting out as once the monkey is turned over you can’t see all the cellophane shapes and just see an amazing stain glass effect. I thought these looked really good especially held up to the light! 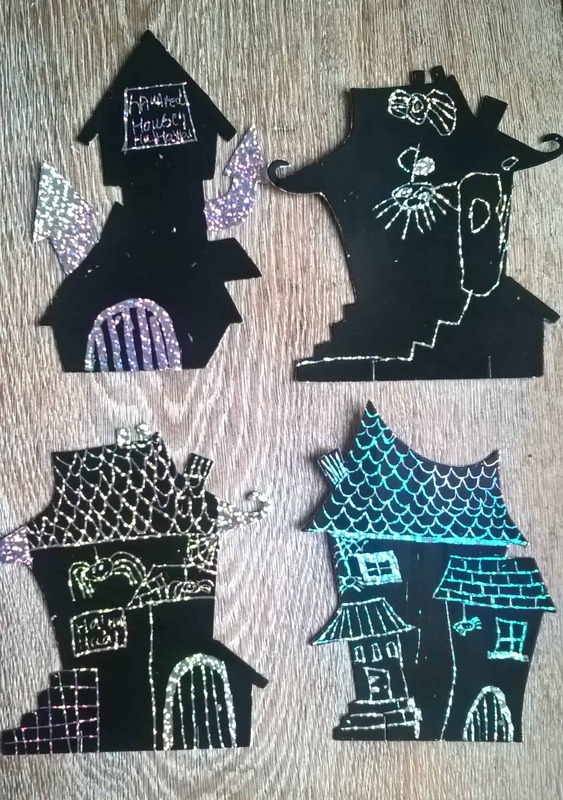 The haunted houses scratch art are fabulous, I never expected them to be so easy to scratch and the sparkly silver effect that they reveal underneath is really effective. 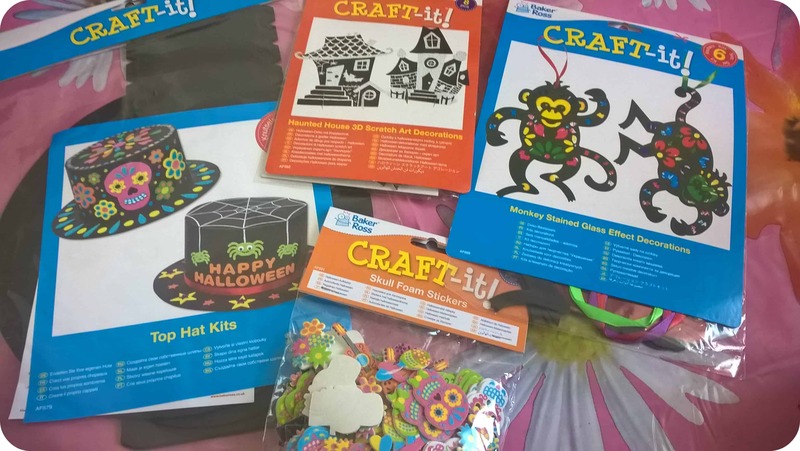 The pack comes with pre cut black haunted house shapes in various designs along with some plastic sticks to scratch with. Just a gentle touch was required with the stick to uncover a wonderful sparkly silver. 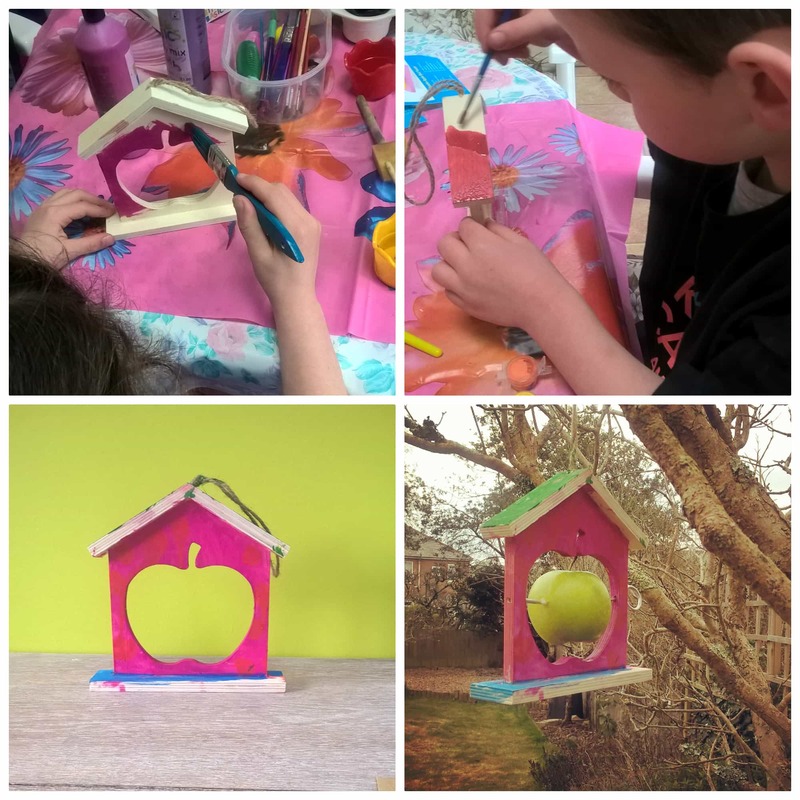 I wasn’t sure this activity would be suitable for my youngest but he proved me wrong and without any assistance, created a staircase with a spider hanging down and a bat flying overhead – I was so impressed. Miss M on the other hand was well away inspired by the designs on the front of the packet. We absolutely love the sparkly finished designs and will be decorating our house with these for Halloween. 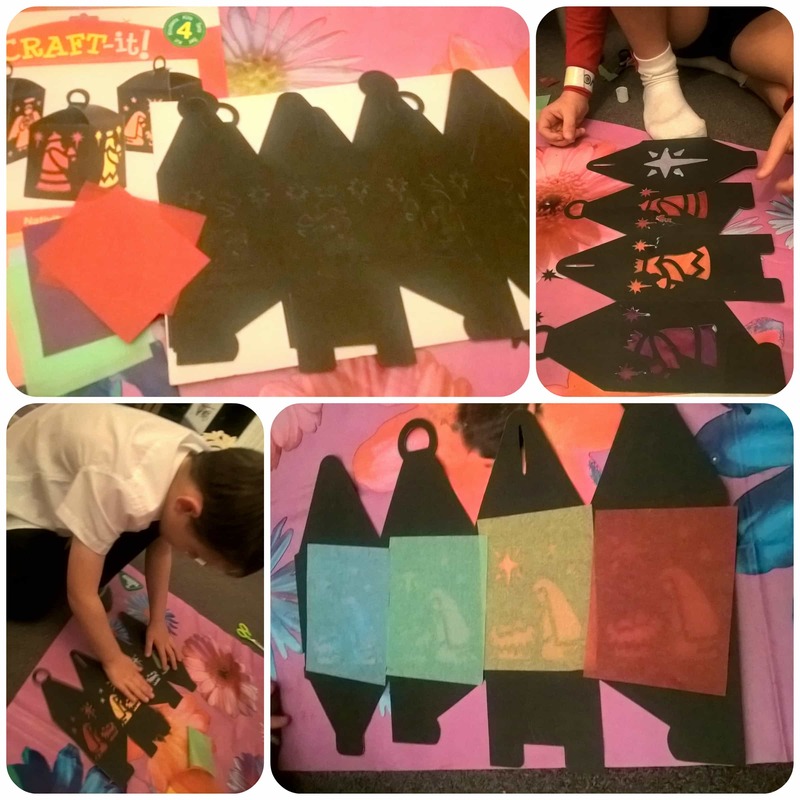 All the Baker Ross Halloween inspired crafts have been fabulous and an excellent way for children to be creative, a lot of fun with some great results! 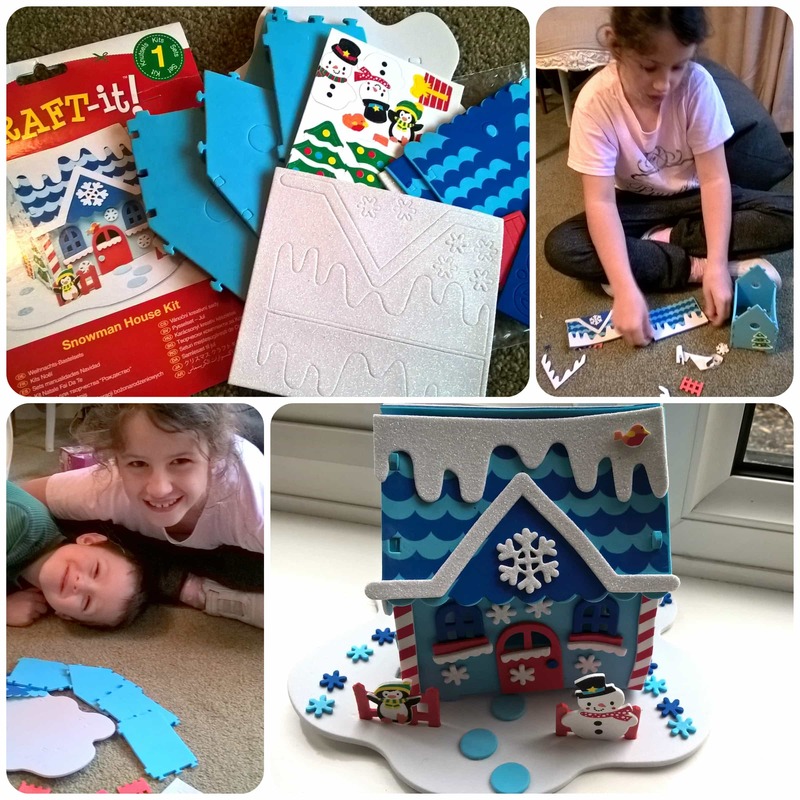 All reviews are my own and my family’s opinions and we received the crafts in order to write the review.